Is that a capitalist thing to say? No. It’s ultra-capitalist! You are probably familiar with all the recent scuttlebutt regarding JP Morgan losing $2B in “risky trades.” Ordinarily, the capitalist in me would respond that this is not a problem, corporations need to be able to take risk to make profit. That is still true, but this is a different sort of corporation. JP Morgan is one of a handful of investment banks that are “too big to fail.” Which is to say, if they fail, the US economy would be at risk. As a consequence, many in Washington are pushing for more regulation of the financial industry. 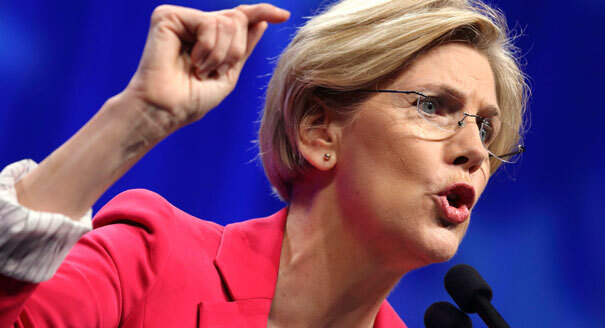 I agree with Elizabeth Warren that super banks like Citi should be split up. I agree that something needs to be done. And while risky behavior is essential for corporate growth, it is incompatible with institutions at the core of our economic security. Even so, I don’t believe regulation is the right path. My thesis is that many smaller, perhaps riskier, companies provide a more resilient economy than a handful of huge companies. Regulation might scale up but it doesn’t scale down. The consequence is that even though regulation may erode profits at all levels, it serves in the long run to perpetuate “the big guy” because only large companies can implement regulation efficiently. Regulation of an industry serves to discourage competition and innovation from the bottom. It’s tough for new, smaller companies to enter the arena. I’m a Libertarian at heart. I believe that the crucible of a free market is the best way for consumers and shareholders to find value. I used to believe that industries could and should police themselves and that reliable companies would win because consumers will choose them. Sounds great, but very large companies don’t respond competitively. And we all observed the crash of 2009. The large companies don’t respond in the way Libertarians imagine. Capitalism only works if companies can really fail. We have arrived at the bizarre arrangement where huge companies can take huge risks without consequence. They know that the bailout will come. On the other hand, if failure were a real possibility, these banks would moderate their behavior to “the right level.” Why not build an economy of smaller companies that are more profitable and responsive, and can fail? Presumably, under true capitalism, we’ll have less need for regulation because the companies that don’t respond to the consumer will fail. Companies that take to much risk will fail too. But because they’re smaller (not too-big-too-fail), their failure will hurt less. Small companies are nimble and profitable. Small businesses generate 50% of the US GDP. They are also more focused and respond more quickly to the competitive forces in their industry. And perhaps best of all in this situation, breaking up large conglomerates brings more value to shareholders. One recent example is the Fortune Brands break up. Fortune used to include golf division, a home security division and an alcoholic beverage division. This arrangement was confusing for a lot of people: Analysts, shareholders, and perhaps most importantly, management. What’s the best background for a CEO running a golf/security/drink company? And from the shareholder and analyst point of view it is difficult to know how to classify the stock from a diversification point of view. In 2011, Fortune split into three separate companies, and the constituent companies are going like gangbusters. As of this writing, since their inception in September 2011 BEAM, the beverage component is up 27%, and FHBS, the home security component is up 76%. In comparison the S&P 500 is up 8.4%. (The golf company, which includes Titleist, was sold for $1.1B and to become Acushnet Company). What should JP Morgan become? Each of these components could operate independently and profitably as a public company. I’ll bet the parts are worth more than the whole. I don’t think so. The Fortune Brands break up was driven by “ruthless” fund manager William Ackman. His company, Pershing Capital, is not too much different from Bain Capital. They seek value for the shareholder, and it became apparent that Fortune was worth a lot more as 3 efficient companies than a single confusing company. Converting large, disjoint companies into smaller parts creates a herd of hungry, efficient, competitive companies. This is good for the shareholders, the consumers, and our economy. This is ultra-capitalist. Companies should do this on their own, rather than waiting for the government, or activist investors to force the issue. And this doesn’t apply only to banks. Apple, GE, ExxonMobil are good candidates as well. Of course I didn’t invent this idea. Many others have suggested it, including Sheila Blair, former FDIC Chairman (under Bush). She published a recent op-ed about it in Fortune. Tucker Balch does not hold a position in JPM, AAPL, C, GE or XOM.